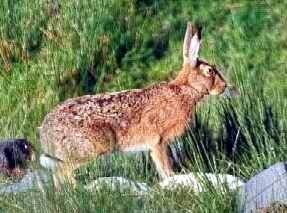 The European Hare or Brown Hare is a species of hare native to northern, central, and western Europe and western Asia. 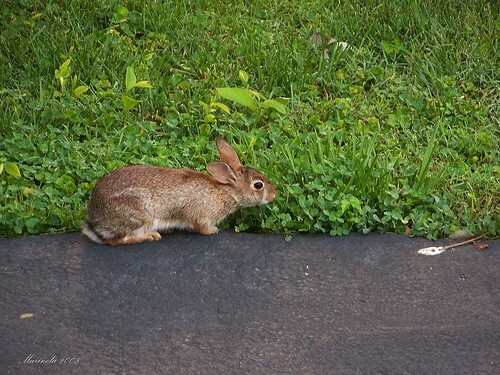 It is larger, longer-eared, and longer-legged than a rabbit. It has a body size of 50-70 cm and a tail length of 7-11 cm. The weight for a full-grown adult ranges from 2.5 to 6.5 kg. It can run at speeds of up to 72 km/h (45 mi/h). It is strictly herbivorous. It eats grasses and herbs during the summer months but changes to feeding on twigs, bark, and the buds of young trees in winter, making it a pest to orchard farmers. Normally shy animals, hares change their behaviour in spring, when they can be seen in broad daylight chasing one another around meadows. During this spring frenzy, hares can be seen "boxing". This is where hares strike one another with their paws. For a long time it had been thought that this was inter-male competition, but closer observation has revealed that it is usually a female hitting a male, either to show that she is not yet quite ready to mate or as a test of his determination. 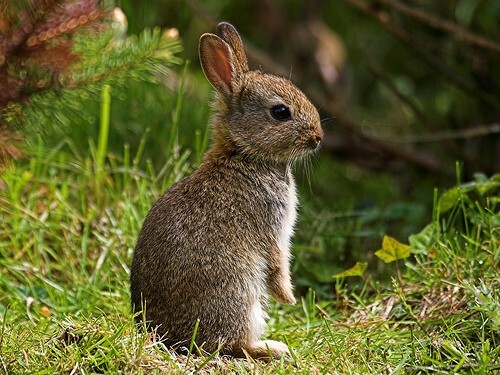 The hare is declining in Europe due to changes in farming practices. Its natural predators include the Golden Eagle and carnivorous mammals like the Red Fox and Wolf.